AMAZING! THIS THIS 3 BEDROOM, 2.5 BATH HOME SHOWS LIKE A MODEL AND IS IMMACULATELY UPDATED WITH LOTS OF BUILDER UPGRADES. LOCATED IN SOUGHT AFTER WARRINGTON HALL IN GREENBRIER. OPEN CONCEPT FLOOR PLAN! THE KITCHEN IS UPDATED WITH GRANITE COUNTERS, NEWER APPLIANCES, GORGEOUS BACK SPLASH AND LARGE ISLAND WITH BREAKFAST BAR. BEAUTIFUL HARDWOOD FLOORS THROUGHOUT FIRST FLOOR. STORM DOORS ON FRONT AND BACK DOORS. CUSTOM ZERO MAINTENANCE TURF IN BACK PATIO AREA. MASTER BEDROOM INCLUDES A WALK-IN CLOSET, TRAY CEILING AND GORGEOUS FULL BATH WITH A HUGE SOAKING TUB AND SEPARATE SHOWER. AMENITIES INCLUDE A 10 ACRE PARK, SWIMMING POOL, TENNIS COURT, BASEBALL DIAMOND, SOCCER FIELD, PARKS & MORE! 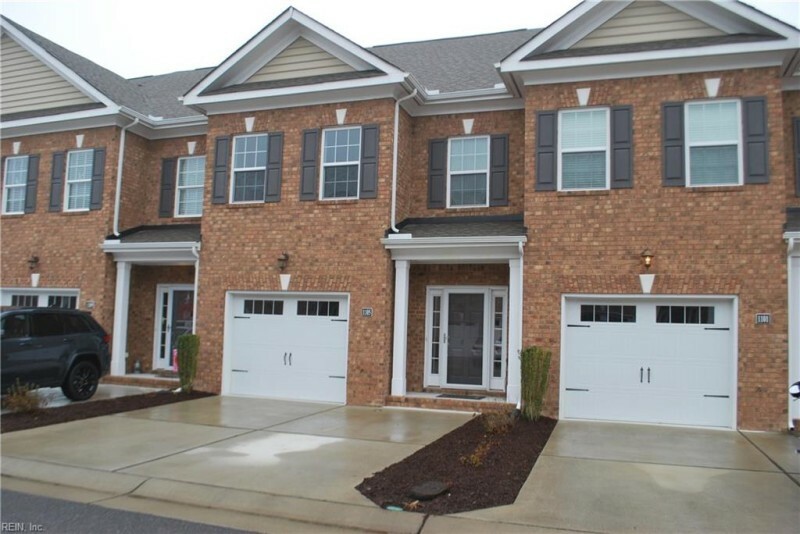 NEAR CHESAPEAKE CITY PARK, GREENBRIER MALL, SHOPPING CENTERS & RESTAURANTS. Ready to visit 1105 Chatham? Request a free property tour! Send me more information about the listing at 1105 Chatham, Chesapeake, VA 23320, MLS# 10240228. This 3 bedroom, 3 bathroom home located at 1105 Chatham, Chesapeake, VA 23320 has approximately 1,776 square feet. It is currently listed for $270,000 and has a price per sqft of $15,203. This home is currently Sold under the MLS#: 10240228. This listing is provided by Benham Signature Properties. 1105 Chatham Lane, Chesapeake was built in 2014. It has Garage Att 1 Car, 2 Space, Driveway Spc parking.The kitchen includes Dishwasher, Disposal, Dryer, Microwave, Elec Range, Refrigerator, Washer. 1105 Chatham is part of the Warrington Hall neighborhood located in 23320.